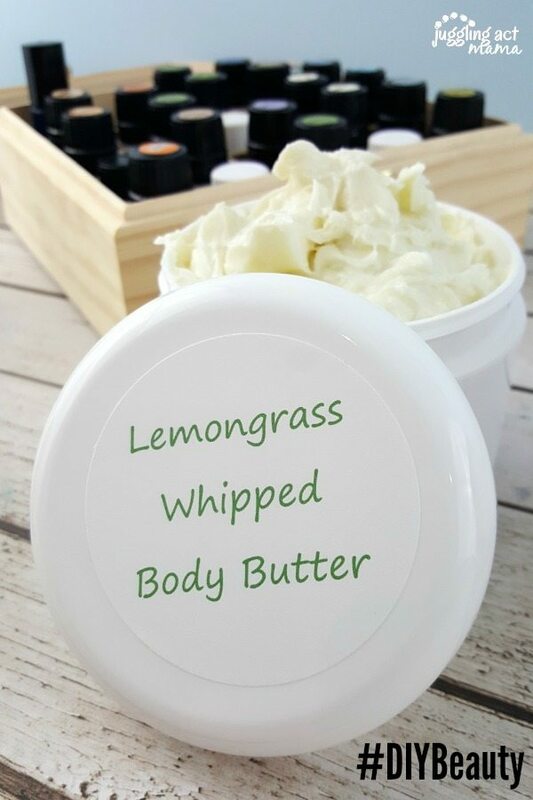 Lemongrass Whipped Body Butter makes for a luxurious homemade gift! When it comes to gifts for friends and family, I love hand-making things especially for the recipient. There’s something very special about a homemade gift, I think. 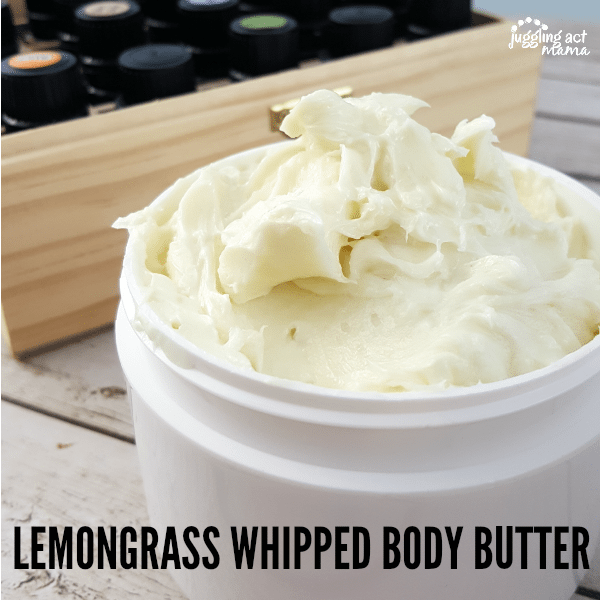 This Lemongrass Whipped Body Butter was simple to make and I’m excited to gift it for the holidays. 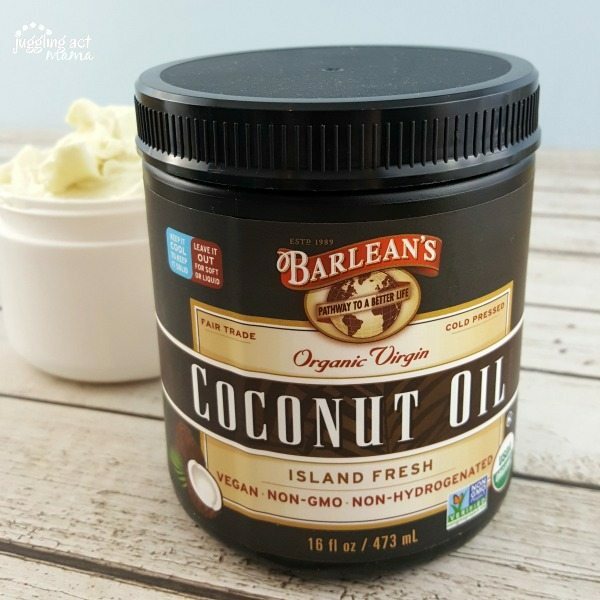 I start with Barlean’s Organic Virgin Coconut Oil. It comes exclusively from certified-organic plantations in the Philippines where coconut palms grow naturally without pesticides. It is fair-trade and cold-pressed. It’s perfect for recipes as well as DIY beauty treatments, like this! Is lemongrass good for you? Put the shea butter and coconut oil into the bowl. Add a little water in your pot and set the bowl on top. Warm on low until the shea butter and coconut oil melt together. Remove from the heat. Add the lemongrass essential oil to your almond oil and combine with the mixture in the bowl. Let the mixture cool until it begins to harden again. Beat the mixture until a the mixture becomes a butter-like consistency. Using the spatula, transfer to your jar. Secure the lid tightly. This recipe has been adapted from One Good Thing. Download the labels and print them on Avery 5294 labels – or a similar 2-1/2-inch diameter round label. I’ve been wanting to try something like this. Thanks for the inspiration. Hello there! I haven’t tried it with unrefined cocoa butter so I’m not sure what the outcome would be. 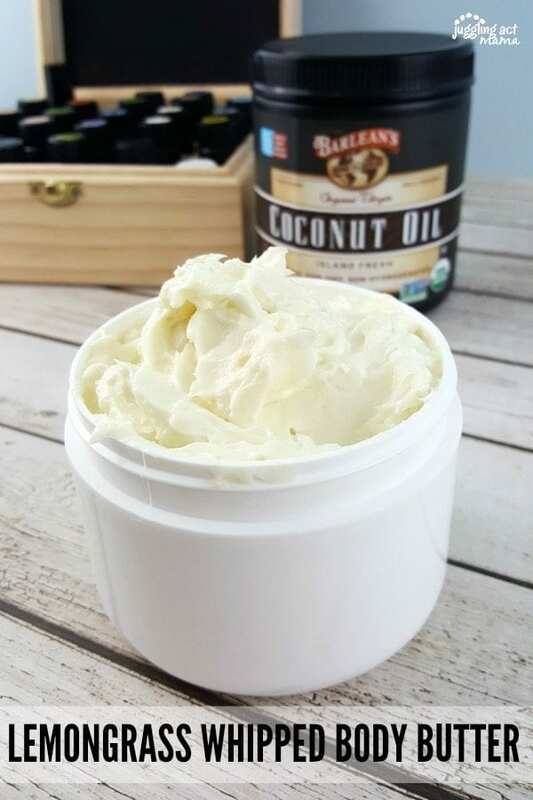 Have you ever added a preservative to your body butter? No but mine doesn’t usually last very long. I use it right up!